Ann. Theresa. Richard. Freida. Joanne. Ted. Edith. Jane. Linda. Bill. Wade. These folks, and many others, were complete strangers to one another when they showed up to UPMC Susquehanna’s recent kickoff event for its new Age Well senior wellness program. By the end of the event, however, they all knew so much more about each other, thanks to healthy communication. “We have to be very willing to cross across a crowded room,” mused Susan Russell, an associate professor in the School of Theatre at Penn State University and co-founder and co-director of the Center for Pedagogy in Arts and Design, who guest-spoke at the event. 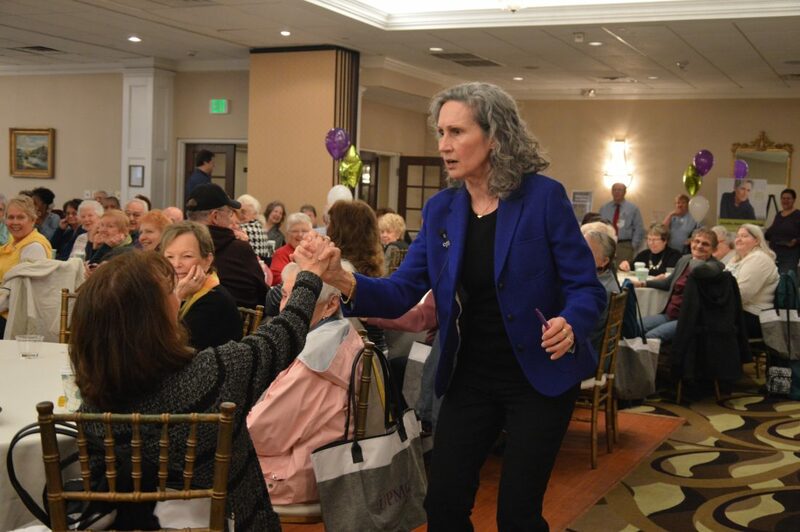 Again and again, Russell cruised across the crowded room, filled with more than 100 seniors and multiple health professionals, introducing herself to several audience members and encouraging them to share their thoughts on a variety of topics concerning life in today’s world. “Hang on, I’m creating a community,” she laughed, as she wove between tables and chairs. Russell’s goal was to establish peace, joy and a sense of community in a room of strangers. Because physical health is not all there is, she said. She complimented a gentleman named Bill on his pressed, sage-colored dress shirt. She encouraged Jane to introduce herself to the strangers sharing a table with her – Ann and Ted. Nearby, she asked a woman named Joanne to tell everyone something fun about herself – Joanne responded she has seven children. “Edith is still volunteering at 91 – awake to the world she loves, aware that she has something to give, and giving it,” Russell said. To help build connections, to be awake, aware and to give, Russell encouraged her audience to look at the faces behind positions – to see people, not just health care providers, photographers or the media. Although people wonder and feel differently, they all wonder and feel, she said. Age Well is a free membership program for seniors age 55 and up who live near a UPMC Susquehanna hospital. 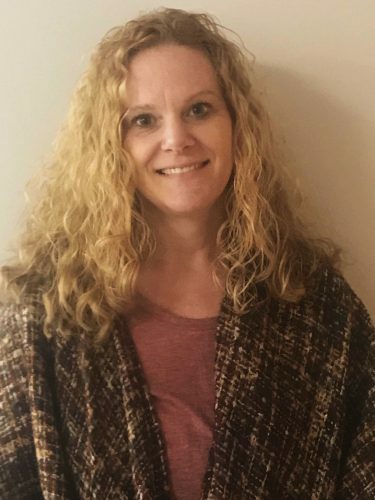 As an Age Well member, seniors will have the opportunity to learn about their personal wellness through access to health care services and providers necessary to be healthy throughout their best years, said Nancie English, Age Well coordinator. The goal of the program is to teach health and wellness, keep seniors moving and to help them network with one another, English said.